Everyone knows that doing your own car repairs saves a boatload of money. But let’s be honest here, you’ll need to start investing into the right mechanic tools for the right job. 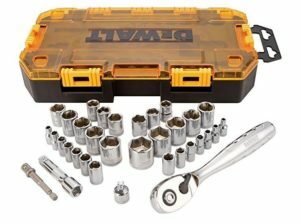 Below are some of the basic recommended tools for any beginner DIY mechanic. Whether or not you are into DIY, there should be no reason why not to have a good socket set. Socket sets come in different sizes from really large sets to really small ones. 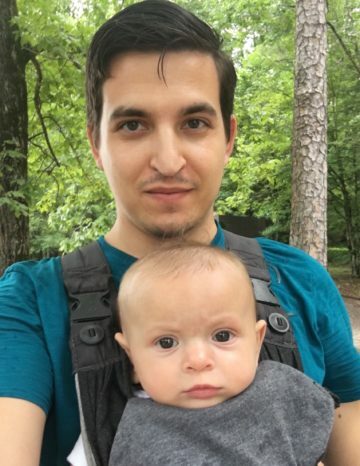 You want to make sure you have one that will fit your needs. A good set should have both an English and Metric sets. For beginners, you can get a smaller but keep in mind every time you work on your car or project you might need a new special tool that you don’t have. You’ll be going to the store to buy it piece by piece. That’s why it is a good idea to invest in a bigger one in order to save time and money in the long term. Tightening bolts to the recommended specification is often overlooked, even by some mechanics. Unfortunately, over torquing a nut can cause the bolt to shear off. If the bolt doesn’t strip, you will make it harder on yourself to remove the bolt the next time. 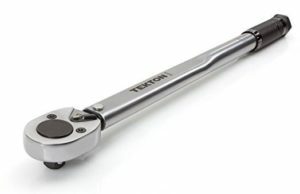 When using a torque wrench, set the required torque setting and tighten the bolt until you hear a click. Stop tightening once you hear that click. Do not use a torque wrench to remove nuts and bolts. Use your ratchet or if necessary a breaker bar. Otherwise, you will either damage the torque wrench or mess up the calibration settings and Be sure your torque wrench has the same drive size as your socket set. 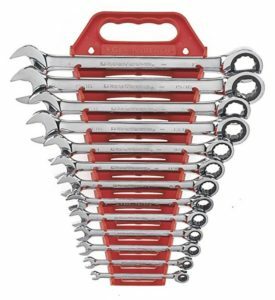 Make sure you get a wrench set that contains both metric and us standard sizes and is backed by a lifetime warranty. 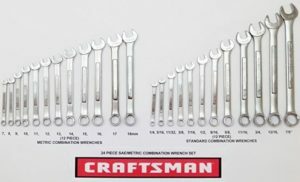 Some good brands are craftsmen or gearwrench. Below is a good basic set that has a varity of both metric and SAE sizes. Here is a nicer set which has ratcheting heads on one end making it really easy to use. This set is only for SAE nuts and bolts and also comes in metric if that is your preference. That is a good starting point. 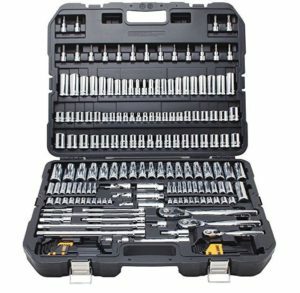 As you build your DIY auto repair skills, you may find out that you need even more screwdrivers. 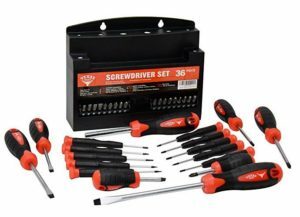 You will need large flat head screwdrivers that you can use as a prying tool, you will also need small screwdrivers for electrical car parts. In addition to basic staples like flat-head, torx and Phillips-head screwdrivers, make sure that you get both stubbed and thin screwdrivers; both of which are essential for fitting into tight spaces. And of course, everything needs to be heavy-duty. Here is a set that covers a wide ranges for your needs. 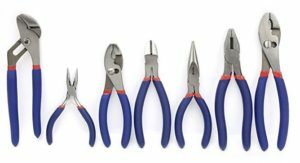 For all your electrical needs it is good to have a good set of wire cutters and pliers in your DIY tool box. 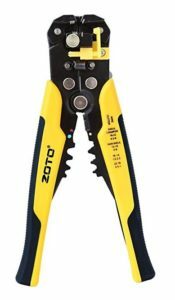 They have different types of pliers for different types of applications. Needle nose pliers for smaller and precised items. Channel-lock pliers for removing something bigger and unusual such as pipe fittings. In addition, it’s good to have a versatile wire stripper and crimpers. Most of these tools are all in one. Below are a good examples of both. You will be surprised how many times you may start working your car when the sun is out and before you know it’s so hard to see under the engine. 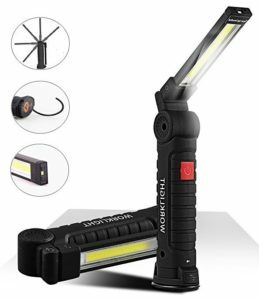 That’s why we would recommend that you have a good working light on standby and fully charged, working into the night is common during the winter, and you need a good work light to prevent losing parts and to spotlight your project. A good place to start for a DIY beginner is doing his/her own oil change. For this you would need a good oil drain pan. 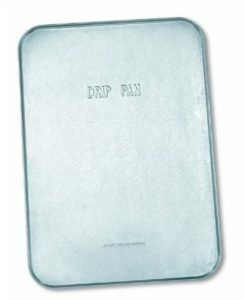 You can always get a simple drip pan when for other uses as well but it’s ideal to have a drain pan for your oil changes. Considering the price is almost about the same I would really recommend investing into the drain pan instead. 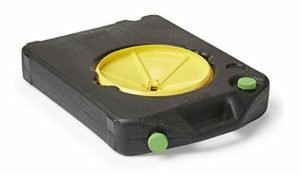 A drain pan will actually collect your bad oil and make disposing a breeze. Now if you plan to continue your DIY projects on your car then having both won’t be a bad idea. A simple drip pan has a small profile allowing you extra room under the car for other tools or hardware. 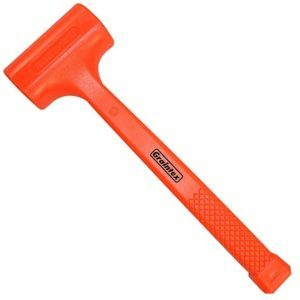 A dead blow mallet is used to absorb tremors that occur when the hammer strikes. It’s a useful tool in that it prevents damage to soft surfaces, while reducing the amount of rebound and improving the striking force of the hammer. It is a great tool for tapping joints together without leaving any marks and can be used on various types of projects. 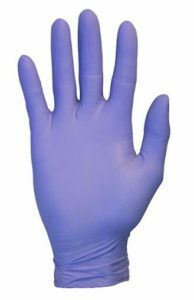 Latex gloves are nice from the aspect that they are disposable. They are ideal for messy jobs like an oil change or for light duty repair jobs. Now if you will be taking something apart that is more complicated you will quickly realize that latex is not your best option. In this case you would like be better off in a good pair of mechanic’s gloves. 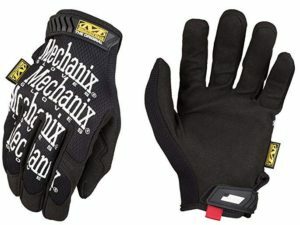 These gloves will give your hands full protection and while providing durability from rips or tares. In my opinion having both options is a must and each has it’s own application. Lubricating provides a coating to prevent contact between two metal surfaces of moving parts. The protecting layer formed by lubrication and cleaning helps to maintain component surfaces from rust and collision, Lubricating oil absorbs heat, moving it away from surfaces depending on the application. Here is a list of cleaners and their uses that we recommend. If you have the patience, skill, space to safely and properly handle some car repairs yourself, stop throwing money away and start fixing your car yourself. Even if you don’t have any experience fixing cars you can certainly do maintenance repairs yourself such as changing a blown fuse, changing spark plugs, burned low beam light bulb, changing the oil or air filter. Troubleshooting the check engine light is so simple that you won’t believe it. As you build confidence in fixing your car and doing simple repairs, you will eventually be able to change brake pads and spark plugs yourself.